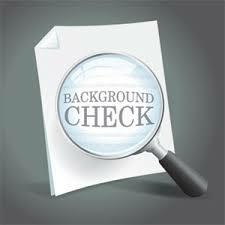 Are Online Background Check Sites Accurate? Are you checking on someone, or have you checked on someone using one of those background check websites? Do you know how inaccurate they are? Just ask Theodore Pendergrass of NY. As a person with a Private Investigation education I have done many searches for people, friends, family, and others. I have researched many sites and found many of them to have inaccurate, outdated, misleading, and even false information. A search of one of my friends’ revealed he plead no contest to a charge of “dog running”. Really, what is that? I have never heard of it. Anyhow, you know I had to razz him a bit since the “crime” (a misdemeanor) was committed in a city I know he never lived. He also does not have a common name. Researching my own name had me living in a place I never even been. More research revealed a failed attempt at identity theft. They tried to get cable service in my name. Little did they know my credit was shot at that time, so good luck with that. This really makes me wonder how many people’s lives have been affected by this type of information. This could mean not getting the job you so desperately need, or getting the wrong impression about someone your thinking about dating. What if this happens to you? Most of the time people or organizations will not tell you about the negative things they found. When it comes to jobs a certain amount of discloser is required by law, but little this will do as they most likely will have hired someone else by the time you get it straightened out. So what can you do? There are several strategies you can use. The first thing you can do is Google your name. Most likely what will show up are any social network accounts or blogs you may have. If you have a common name, you may have to dig a little deeper. Try researching it with a middle name, full name, user names, aliases, or maiden names. If something does come up negative that is not true, you can first let the site administrators know about the issue. If this does no good, then you could possibly sue them. Just note that you must make every attempt to have the issue rectified first. If it is true, you can still request they take it down, but remember, all this information is a matter of public record. PreviousEmail Processing 4 Cash Scam?